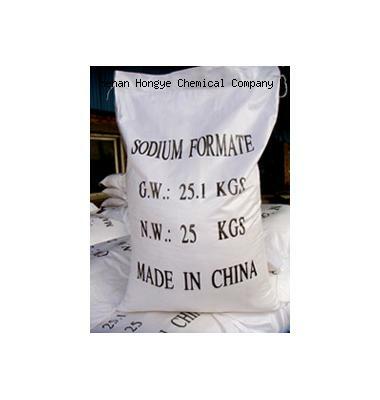 Hongye Chemical Co., Ltd. can produce 20000MT Sodium Formate per year. Sodium Formate Used in leather industry, serves as camouflage salt in the chrome tanning method. Used in catalyst and stabilizer compositions, and in the printing and dyeing of textiles as reducing agent. Used as the raw material in the manufacturers of sodium hydrosulfite, formic acid & Oxalic acid, etc.